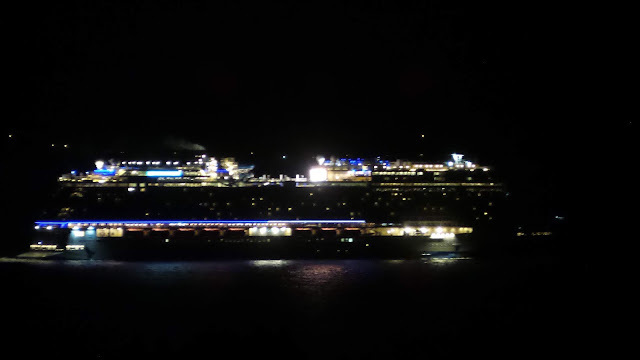 Just after 10pm Wednesday a twenty story cruise ship sailed through the Shoreline Sea following her christening in Seattle. The Norwegian Bliss is Norwegian Cruise Line’s newest ship and weighs in at 168,028 gross tons. She was built by Meyer Werft in Germany in just 18 months. Delivered on April 19, she is the largest ship to have gone through the Panama Canal. SEATTLE, May 30, 2018 /PRNewswire/ -- Following a month-long show-stopping tour around the United States including previews in New York, Miami and Los Angeles, Norwegian Cruise Line's highly-anticipated ship, Norwegian Bliss, was officially christened today in her summer home of Seattle. Following a preview sailing from May 30 – June 2, Norwegian Bliss, the third ship in the most successful class in the line's history, will commence her inaugural summer season with cruises to Alaska including calls in Ketchikan, Skagway, Juneau and Victoria, British Colombia beginningJune 2. She will join Norwegian Jewel and Norwegian Pearl as the youngest fleet ever to cruise to Alaska. 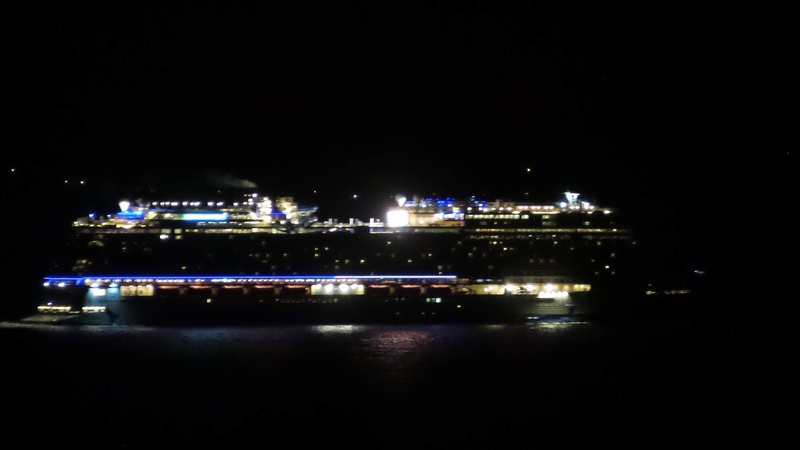 Norwegian Bliss was welcomed to her summer home with a sky-high water-canon salute by the Seattle Fire Department, as she cruised into Port of Seattle. The recently renovated and expanded Bell Street Cruise Terminal at Pier 66, a public-private investment between Norwegian Cruise Line Holdings and the Port of Seattle, received the 168,000-gross-ton ship with a capacity of 4,004, double occupancy, early this morning. The enhanced terminal features three times the square footage, increasing the usage capacity by 300 percent, a dedicated lounge for suite guests and more guest-facing elements providing a seamless, comfortable and stylish ship-to-shore experience.